Just as rumored, the Honor V9 has been officially brought from China to the European shores as the Honor 8 Pro, making it one of the best phablets you'll be able to order there this season. The 6 GB RAM model is available to order in black, blue and gold in the United Kingdom, France, Germany, Italy, Spain and Switzerland, for 549 EUR or £474. The gifts include your choice of a 128 GB microSD card or a 10,000 mAh Huawei power bank, along with some common niceties like a selfie stick tripod. 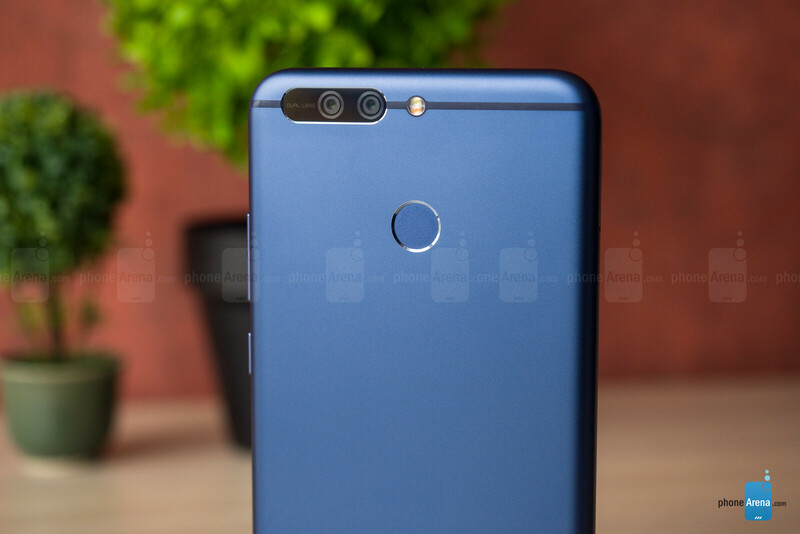 Needless to say, when Honor sent us the press materials for the 8 Pro, the sheer fact that it managed to fit a 4000 mAh battery in an ultra-slim metal body piqued our interest, but now that we have the phone in our hands, we are even more impressed. Crafted out of light metal alloy, the handset is available in black, blue and gold, with all colors treated to a matte finish. We have the most intriguing blue version to play with. The phone is very thin at sub-7mm, and light for its 5.7” display diagonal, at 184g. For comparison, this is a lighter and more compact device than the 5.5” iPhone 7 Plus, which also carries a dual camera on the back. 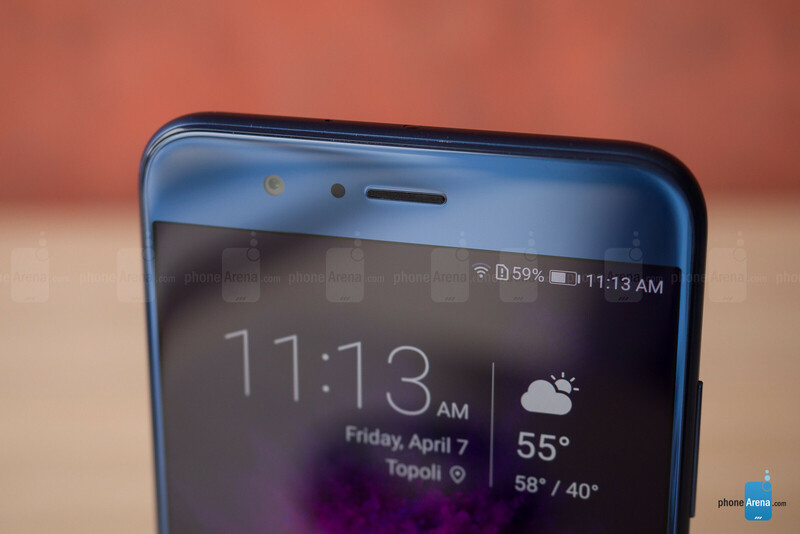 The Honor 8 Pro is still a pretty big phone, though, especially compared with the new “all-screen” crop of flagships like the LG G6 or the Galaxy S8 that shave the top and bottom bezels to the max. Thus, the 8 Pro is as unwieldy to hold and operate with one hand as you can expect from a 5.7-incher. Thankfully, Honor has included interface tricks to shrink the image into a size more manageable for your thumb reach, and has placed the finger scanner on the back right under your index finger when holding the phone with one hand. Moreover, that finger scanner serves as a touch pad that can slide down or roll back up the notification shade, so you don't have to use two hands to do this simple action. Looking around the sides, the volume rocker and power/lock on the right are somewhat thin, but still easy to feel and press without looking, with good tactile feedback. The phone comes with a USB-C port for charging and data at the bottom, and, something we rarely see these days – an IR blaster at the top for controlling your home electronics like a TV or even an AC unit. 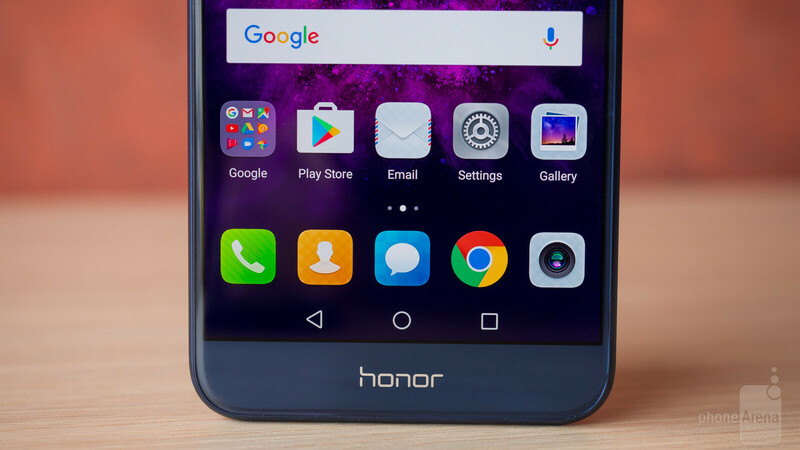 Honor decided to equip the 8 Pro with a Quad HD LCD display with 2560x1440 pixels resolution, catapulting it straight into flagship category. Thankfully, it was also wise to place a big battery pack in the phone, as Quad HD handsets consistently score much worse in our battery life benchmark than their 1080p counterparts with the same battery capacity. 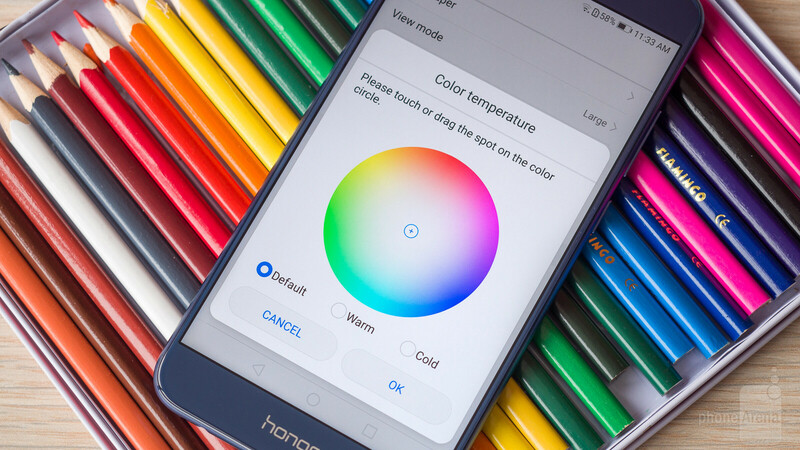 Granted, Honor gives you the option to lower the display resolution to 1080p or even HD, but the backlight still has 3 million pixels to push through, so the difference in endurance is negligible. In addition to the fine 500+ ppi pixel density, the screen is your typical IPS LCD affair, with good viewing angles, high peak brightness, and low reflectance that aids sunlight visibility. The color presentation, however, is the panel's weakest spot, as the hues are way on the cold side of the spectrum compared to the reference, and the greens are oversaturated. There is a way to tinker with the color point in the display settings, but we doubt there will be many users that will bother with that. We are wait for asuse zenfone 3 zoom rewiew. Why QHD?? No one can tell the difference anyway but it affects battery life a lot ! It's just marketing. Don't buy QHD phones ! While I prefer 1080p phones, what you said isn't true. It is very easy for me to tell the difference between QHD and 1080p, especially on a 5.7" phone (other PA readers, please attest to this) When I put my Mi Note 2 (1080p) next to my Nexus 6P (QHD) the difference is very noticeable. However, I will agree with you it affects battery life a lot. I have a QHD Droid Turbo and even with 100 mAh less, it will easily destroy this in battery longevity. IDK what PA is smoking when they say highest enduring QHD phone. Pros: "Vulcan" graphics support Wow, Star Trek? Is it better than the orginal Honor 8? In my opinion, yes. I wonder if size was a negative for the iphone 7+?? I'm guessing not - because they're both about the same size..